When Harry and Mary Alice Black moved to Garden Spot Village in October 2003, Harry realized he needed a place to store his extensive model train collection. Little did he realize that securing a 400 square foot space in the basement of the Gardens apartments for a train layout would be the start of the Garden Spot Village Train Room. Overwhelming support and interest from Garden Spot Village residents and staff resulted in a greatly expanded display area, now measuring 1,837 square feet. Fifteen years later, more than 20 men—with a wide range of skillsets including backgrounds in architecture, mechanical engineering, electrical engineering, computer software programming, building and more—work together to plan, construct and maintain train layouts throughout the year. Their current HO display and backroom systems include electrical components as well as smart phone-driven computer software, hardware, video, audio and more. 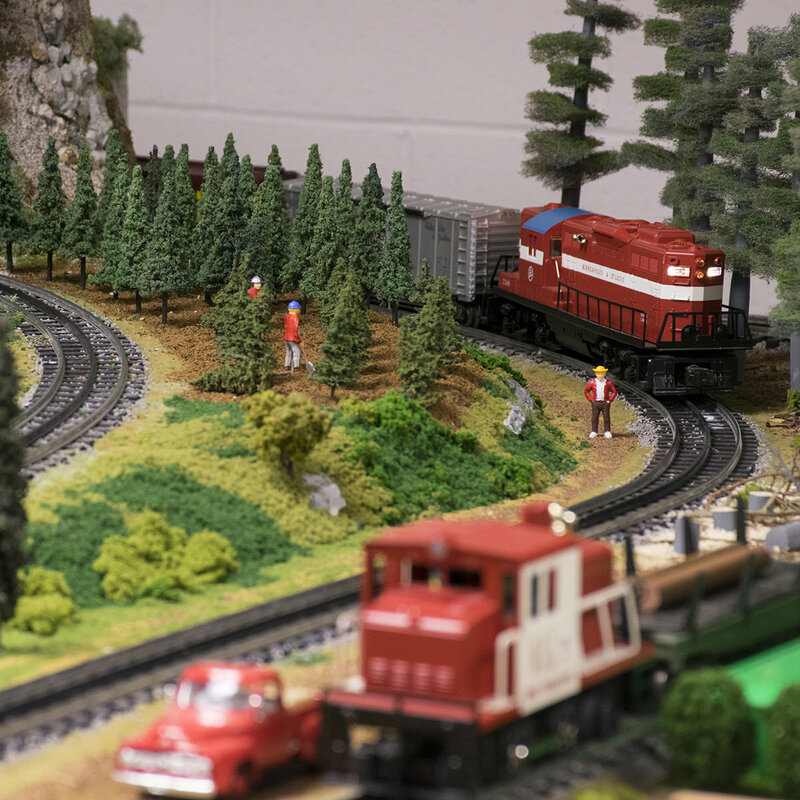 The O-gauge layout is operated with Lionel's Legacy remote control system. The Garden Spot Village Train Room offers a unique opportunity for train enthusiasts to work together throughout the year with a common goal to build a fresh and/or enhance an engaging display that they unveil to the broader New Holland community throughout the year. In June the Train Club members welcome participants in Garden Spot Village’s Grands & Kids Camp. In October they host an open house during the Garden Spot Village Fall Festival. Between Thanksgiving and New Year’s they welcome nearly 5,000 people, many of whom have made a visit to the Garden Spot Village Train Room part of their holiday tradition. 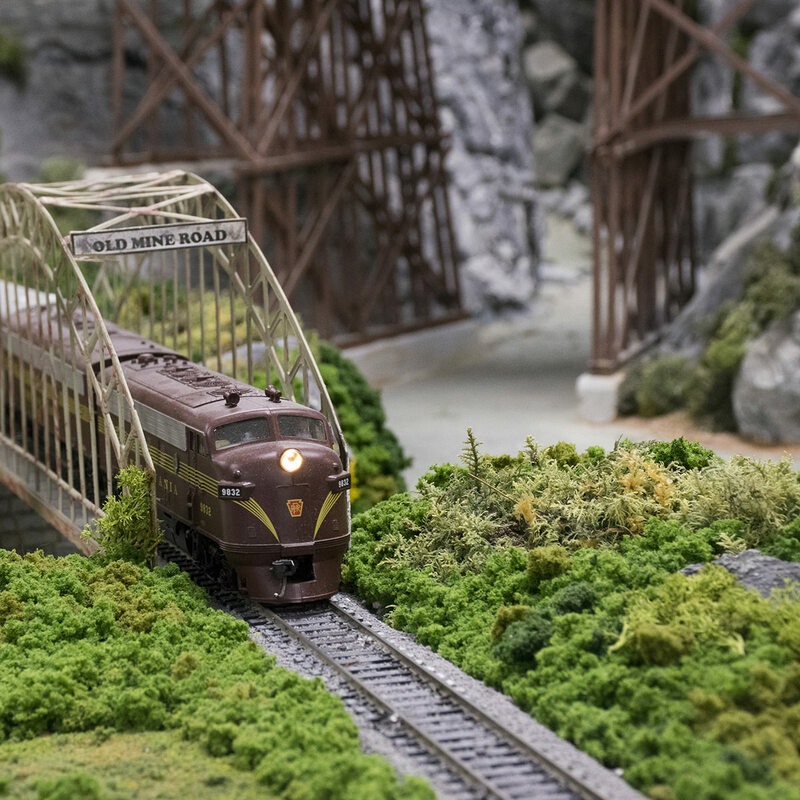 The open houses invite children and train enthusiasts of all ages to take a trip back in time to a simpler era, where trains were a preferred transportation choice and carried cargo and people from place to place. 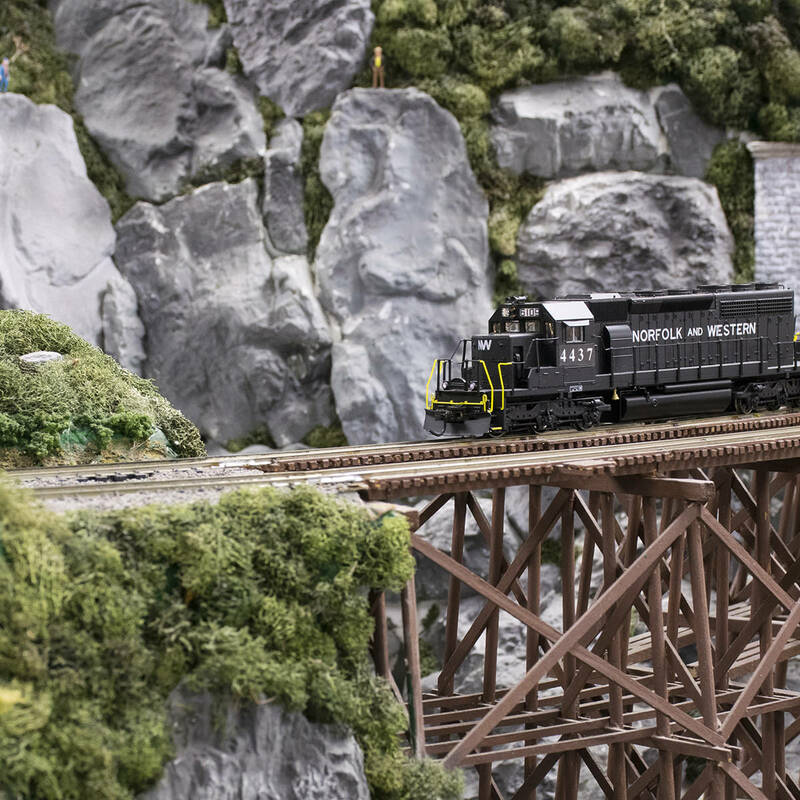 The HO-gauge layout delights visitors, especially young children. “Talk with Thomas” is a popular stop at the display. Thomas the Tank Engine greets children by name and holds a conversation with them. Thomas’ friends, Percy and Emily, also chase each other around the track in Thomasville. 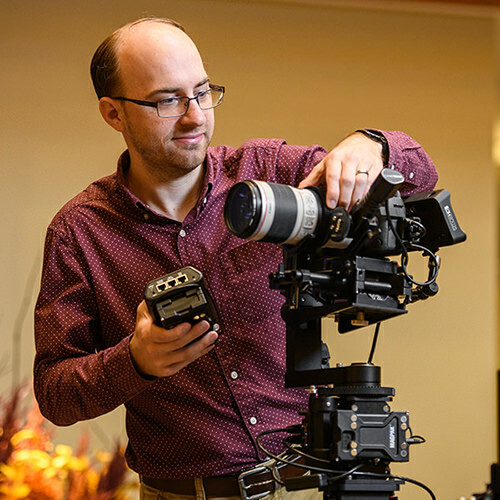 A wireless camera mounted inside a locomotive treats visitors to an engineer’s-eye view of the layout on a 55-inch wall-mounted TV. Also included is an operating turntable with a 12-stall engine roundhouse. 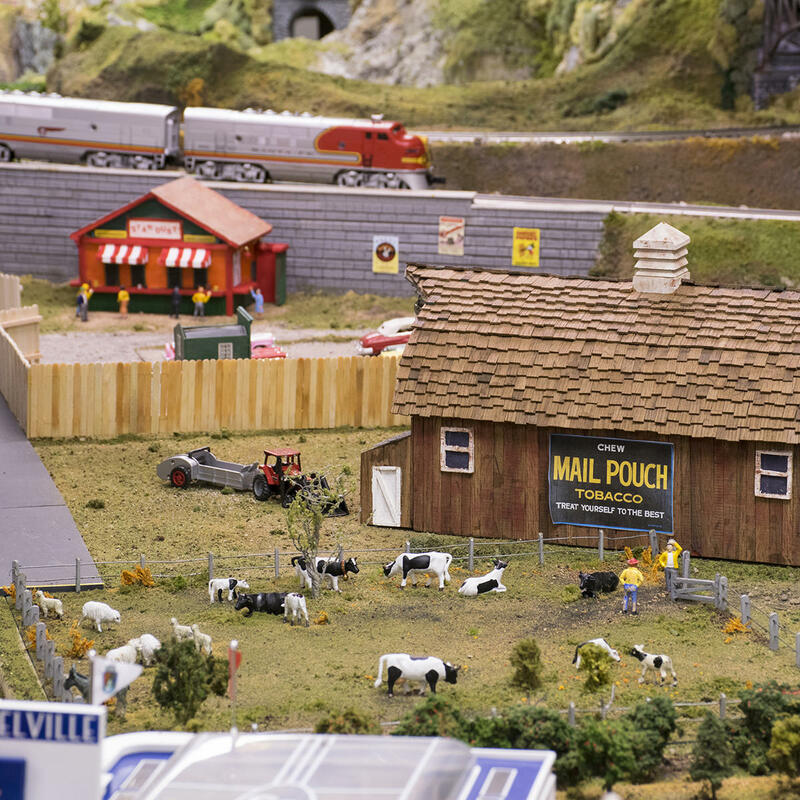 The O-gauge display includes a drive-in movie theater (with a movie screen that plays commercials from the 1950s and 1960s), a functioning “Mel’s Diner,” Car Wash, Gas Station, Ford Show Room, a complete logging operation, a tunnel through a mountain and a waterfall. New for 2018 is a replica Garden Spot Village hot air balloon which sails on a track above the display. An intermittent light replicates the glow of the flame in the real balloon. Holiday Train Room Open Houses run 1:30-4 pm each Saturday between Thanksgiving and New Year’s. Hundreds of people will stroll through the display each weekend, enjoying the beauty of the layouts and the memory of a simpler time. This short film profiles the Garden Spot Village Train Room and the Holiday Open Houses hosted each Saturday, Thanksgiving through New Year's Day. Garden Spot Village residents Harry Black and Mike Lanyon share their perspective on the Train Room and the opportunities they find to live in community at Garden Spot Village.